Star Wars has had a habit in recent years of playing coy with questions about its characters’ sexuality, encouraging fans who really want to see Oscar Isaac’s Poe and John Boyega’s Finn kiss while taking half-steps like introducing canonically LGBT characters in Star Wars novels, but not the films. 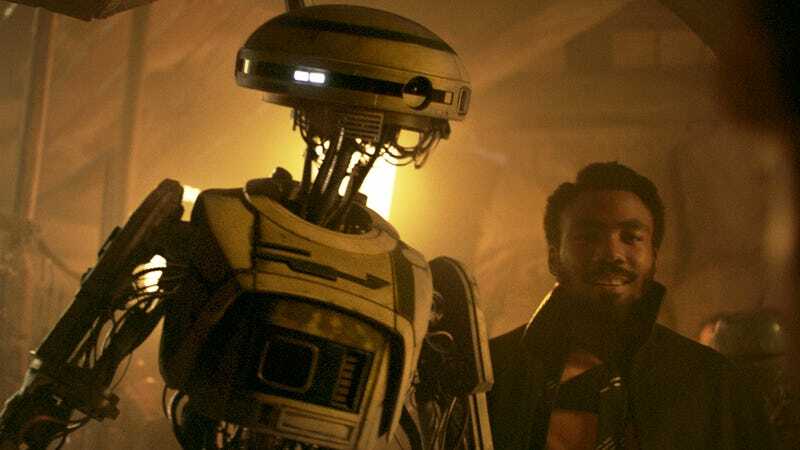 Now Solo co-writer Jonathan Kasdan has declared that goateed scoundrel Lando Calrissian likes to lay his charm on all human genders (and possibly droids). Note that this is not an official statement from Lucasfilm, and the odds of the Lucasfilm PR department swooping in to contain Jonathan Kasdan’s statement like they did yesterday’s quasi-announcement of a Lando spin-off are very real. But as we all know, Star Wars fans don’t like being told the odds, particularly when they could be writing sexually explicit fan fiction instead.